As a new rider, are you ready to roll? These ten tips will make sure of it. Before beginning to ride, educate yourself. Nothing prepares you for the road like knowledge and experience. Find a motorcycle riding course to complete and hone your skills. Also, read up on state motorcycle laws local to you and along your route. Literally and figuratively. As a new rider, you need to be certain your bike is a good fit for you. Don’t ride a bike you’re unsure you can handle; if it feels too heavy, it probably is. When seated, your feet should be able to rest flat on the ground, and handlebars and controls should be within comfortable reach. Get familiar with your bike and learn how to handle it before hitting the open road. You can live on the edge and still stay in your comfort zone. You can’t control how people drive on the road, but you can control how you ride. Motor vehicles’ failure to detect motorcycles on the road is a leading cause of motorcycle accidents. Especially in the age of constant cell phone usage, look out for motorists distracted by phones. That being said, driving in fear is not a safe way to drive. Be defensive, but confident. Proper gear is important whether you’re riding for the first time or the 100th. Essentials include: a Department of Transportation (DOT) approved helmet, leathers or heavy denim to protect your skin, non-slip boots that reach above your ankles and a form of protective eyewear. It’s also smart to ride with gloves for protection and improved grip and to wear bright clothing with reflective tape when possible. South Dakota weather changes constantly. Plan ahead by wearing layers to adapt. Perform a quick check before each ride to ensure your bike is working properly. 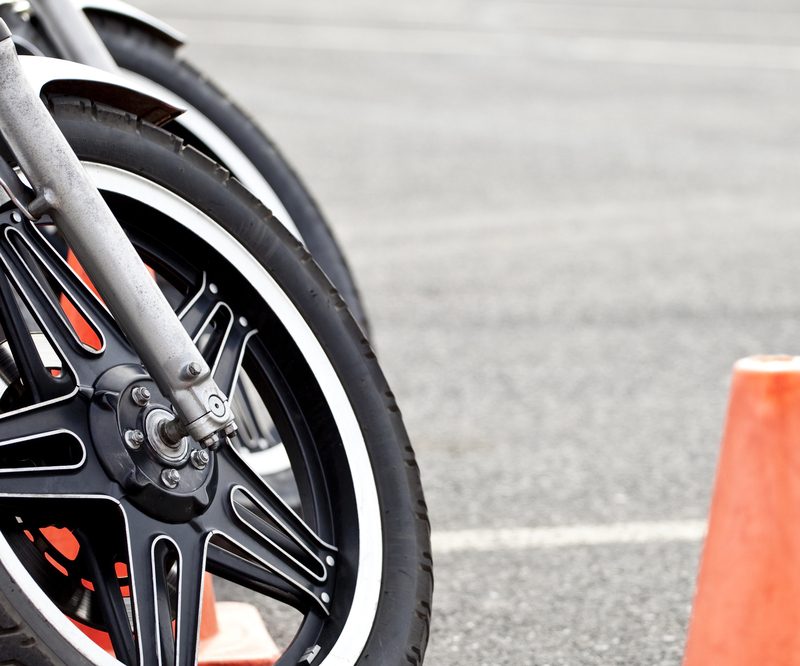 You’re only riding on two wheels; make sure they’re high-functioning wheels. Inspect the tires for wear and tear and make sure they’re set at the right pressure. Inspect the chain, belt, shaft and brakes for damage and make sure your lights, horn and turn signals are working. Before you start moving, adjust your mirrors so you can see as much as possible around you. Be proactive and check the forecast before a ride. As a rule of thumb, don’t risk braving bad weather. Rain not only decreases your visibility but also reduces tire grip on the road. Avoid it if possible and never ride if you see lightning. Strong winds should be maneuvered with caution. To keep your bike steady, lean over it in an attempt to make yourself into a smaller profile. Most importantly, stay relaxed in poor conditions. Riding with a stiff body and tense grip will make controlling your bike difficult. Always plan ahead for a trip. Give yourself enough time to reach your destination so you’re not driving in a rush. Look up routes before traveling and never choose one you’re unsure you can handle.Target fixation can be a struggle for new riders. Pay attention to the road you’re riding on by keeping your eyes and head up—you’ll go wherever you’re looking. Be cognizant of your surroundings and adjust your position accordingly. Never get on your bike in the wrong state of mind. Riding angry, drowsy, distracted or impaired by alcohol, over-the-counter drugs or prescription drugs is hazardous to you and your surroundings. If your mind isn’t clear and focused on the road, you are likely to make a mistake that could lead to a crash. The excitement of being a new rider is real. The urge to share that excitement is even more real. But before putting someone on the back of your bike, you need to be positive you are comfortable with it, be sure your passenger knows how to do their part to keep the ride safe and be educated on passenger laws. A rebellious attitude and good manners go hand-in-hand, right? Before riding, it’s important to know the proper etiquette that goes along with it. For starters, always be courteous to other riders. Give them their space and never pass in the same lane. Help a fellow biker when they are in need and respect each other’s equipment. Most importantly, you have to nail the infamous biker wave. The wave signifies respect and the bond of the biker community. Most commonly in the form of a low, double-fingered point, a wave of any kind will suffice. Head nods are welcomed if preferred.